TheToyz Colored Rotor Blade Sets for the Estes Proto X « Big Squid RC – RC Car and Truck News, Reviews, Videos, and More! While the Estes Proto X has been a massive seller, there just haven’t been many aftermarket parts for it. 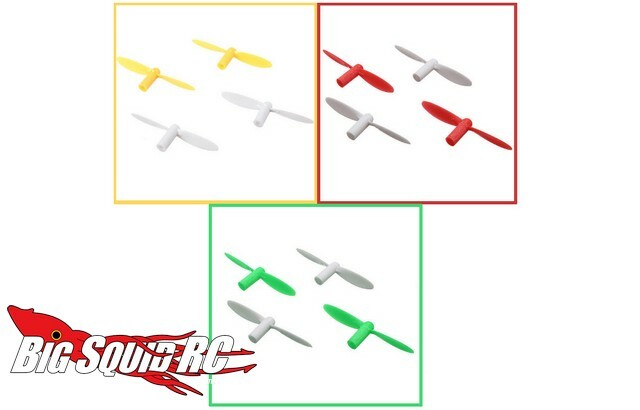 The crew over at TheToyz is out to change that, first off by offering three new Colored Rotor Blade Sets for the Estes. With color options that include red, yellow, and green, the new rotor sets are sure to help your Proto X stand out in a crowd. Each set of four is priced at $3.99 and they are available right now. To get more information all you have to do is Click Here to head over to TheToyz’s website. Get even more TheToyz news Right Here on BigSquidRC.